Home / CRUISING THE PAST / RMS Titanic memorial cruise aboard MS Balmoral delayed by wind on trip to wreck site. RMS Titanic memorial cruise aboard MS Balmoral delayed by wind on trip to wreck site. MS Balmoral is carrying 1,309 passengers – the same number as the Titanic. The ship is seen on a previous cruise in rough seas. 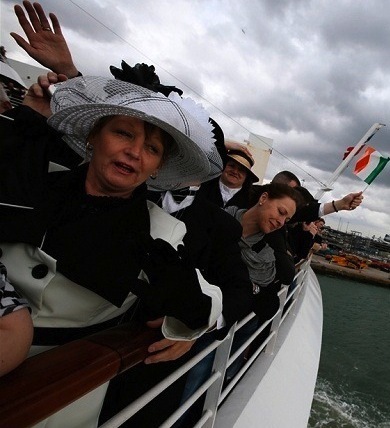 (Left: Passengers aboard the memorial cruise) The memorial cruise retracing the route of the Titanic to mark 100 years since the ship sank has been delayed by strong winds. MS Balmoral, which is carrying relatives of some who died, is traveling from Southampton to the North Atlantic site of Titanic’s wreck. The ship is due to reach Cobh, on the south coast of Ireland, later. The Titanic hit an iceberg on 15 April 1912 and sank, killing about 1,500. 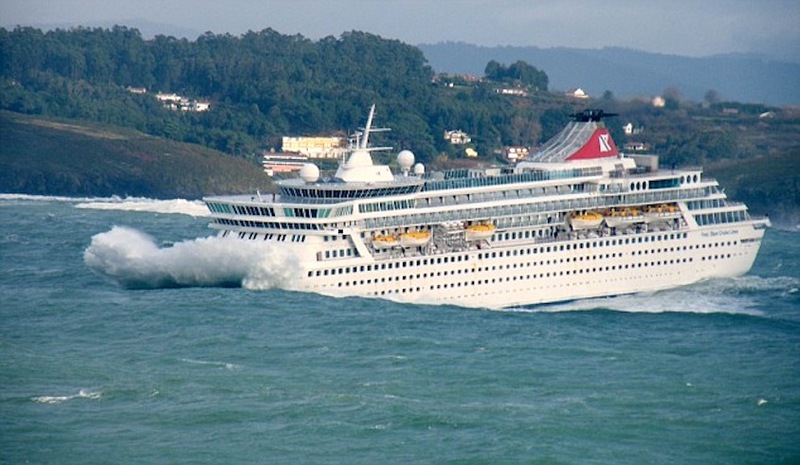 The Balmoral was due to reach Cobh, on the south coast of County Cork, on Monday afternoon, but adverse weather and rough seas mean the ship’s arrival has been delayed until the early evening – when it will be met with a civic welcome. The cruise left England’s south coast on Sunday to follow the Titanic’s exact route – via Cherbourg, in north-west France and Cobh – to the spot where the liner went down. Passengers will gather for a service to be held at 02:20 GMT next Sunday – 15 April – to mark the moment of the sinking. 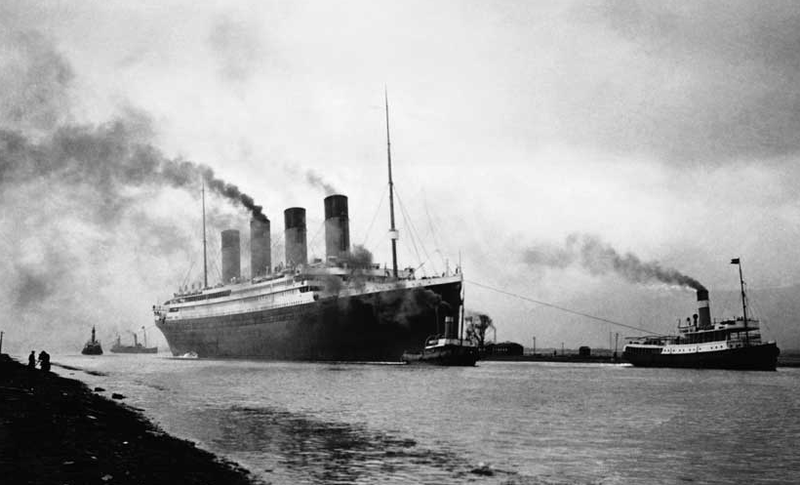 The Titanic made a final stop in Queenstown on the south coast of Ireland before its ill-fated journey into the Atlantic. Now called Cobh that history will be remembered when the Balmoral sails into the town’s docks. Those leaving Ireland a century ago had hoped for that fabled ‘new life in America’, but many never made it to the other side of the Atlantic. The Balmoral cruise ship setting sail from Southampton yesterday for the official Titanic anniversary voyage with 1,309 passengers – including one Gozitan, James Borg – marking the centenary of the Titanic disaster on the night of April 14, 1912. The passengers will eat the same food as was served aboard the ill-fated liner. They will then visit Nova Scotia where some of the victims are buried, before ending the 12-day trip in New York. While 123 passengers boarded the ship in Cobh, just of a third of them survived the sinking. On board the Balmoral people have been learning that history in lectures given by experts. And while strong winds have delayed this ship’s arrival, there will be a civic welcome to mark her journey in Titanic’s wake. The Balmoral is carrying 1,309 passengers – the same number as were on the Titanic. Passengers, who come from more than 20 countries, include relatives of survivors, authors, historians and people fascinated by the Titanic story. They will eat meals from the Titanic’s original menu and attend lectures by historians and experts. One passenger, Susie Miller – whose great-grandfather Thomas Miller died when Titanic sank – said she was “following in his wake”. She said although the cruise was meant to be “paying respects to those lost”, it was also “celebrating Titanic because there was nothing wrong with Titanic as a ship”. Philip Littlejohn, grandson of survivor Alexander James Littlejohn and the only Titanic relative to have made the dive to the wreck site, said: “I’m sure my grandfather, a 1st Class Steward on RMS Titanic, would be proud to know his story will be shared with the passengers on this historic cruise. From the wreck site, the Balmoral will go on to Nova Scotia, where some of the bodies of those who died are buried, and then onto New York City, the destination the Titanic never reached. The Balmoral was chartered for the 12-night journey by Miles Morgan Travel. Next: Cruise Ship History: Holland America Line’s VOLENDAM crossing the pond – from New York to Europe – in 1937.